Xpad is a sticky note application for Linux desktop with a simple and nice design. Each xpad session consists of one or more open pads and you can set different fonts and colors on each of them. 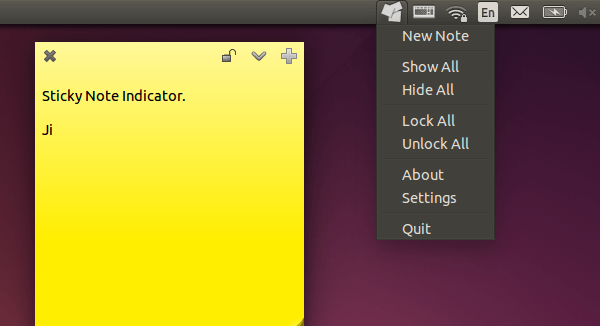 By toggling the toolbar and window decorations, you can easily change the look of the pads. A pad can contain different stylings. 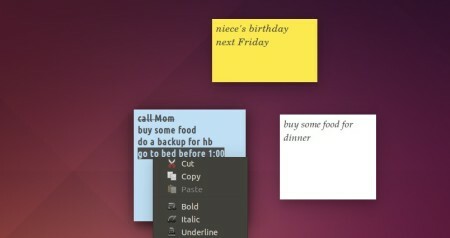 Keyboard shortcuts and undo/redo are supported. 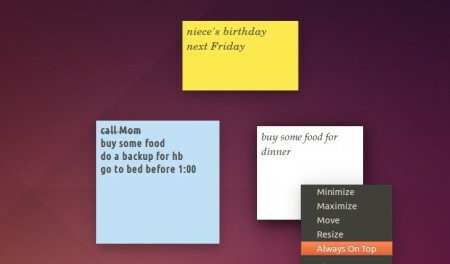 There’s also a help option shows you how to use this simple sticky notes application. Xpad is available in Ubuntu universe repositories. 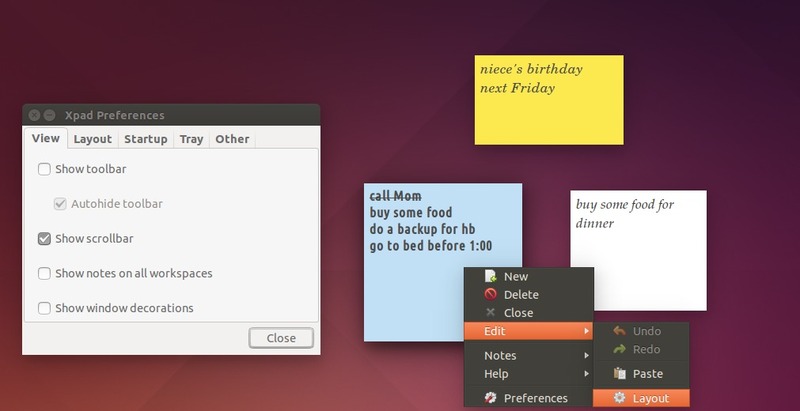 You have to do nothing special, just open Ubuntu Software Center search for and install the xpad package.